Transportation Division Local 367 (Omaha, Neb.) 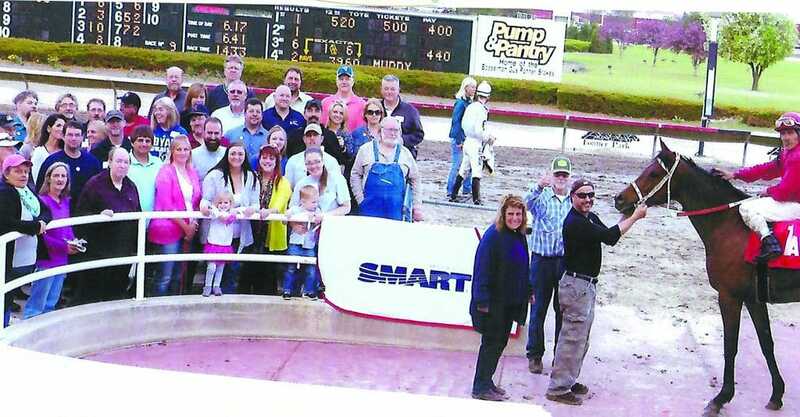 has announced that the 10th annual SMART Day at the Races will be at 3 p.m. on Friday, April 26 at the Fonner Park Racetrack, 700 E. Stolley Park Road, Grand Island, NE 68801. This year the race will be in honor of the late General President Joe Nigro. Nigro attended this event in 2014 at a time when the SMART merger was still contentious. For those who RSVP, free clubhouse seating, programs and food will be available. A free catered barbeque will follow the races at Boarders Inn and Suites, 3333 Ramada Road, Grand Island, NE 68801. There will be a free shuttle between Fonner Park and the hotel. Boarders Inn and Suites is also offering a discounted member rate and free breakfast. To take advantage, call the hotel at 308-384-5150. To RSVP for the SMART Day at the Races, email smartraces@gmail.com or call Mohr at 785-409-4540 or Cliff Gordon at 308-530-5766. “Please come and enjoy a day at the horse races with your SMART union brothers and sisters. There will be food, drinks and a good time will be had by all,” Mohr said. Click here for a flyer about the event.